With the recession, it seems like everyone has been cutting back on their spending and ditching the plastic. 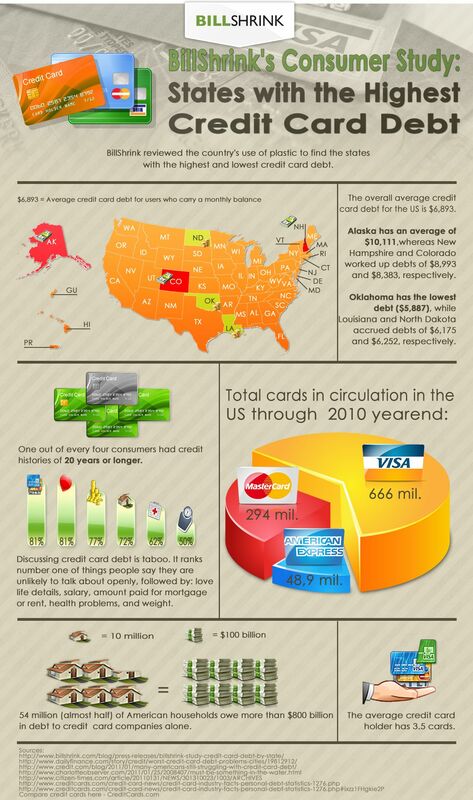 However, credit card debt is still a major source of stress for many American households. BillShrink took a look at users across the country to see which states were doing the best (and worst) at keeping their spending in check. Did your home state make the list? ← How Rich is Congress?